Newtown is an Inner West suburb of Sydney, NSW, Australia. It is located approximately 4 kilometres from the Sydney Central Business District. See a map of newtown below. Newtown’s main road, King Street, was one of the first suburban shopping destinations outside Sydney City. The suburb is renowned today for its diverse and unique community. The major shopping strips along King Street and Enmore Road contain a unique variety of shops, restaurants and pubs which showcase this vibrant and diverse culture. 2. Newtown does not have a McDonalds Family Restaurant. 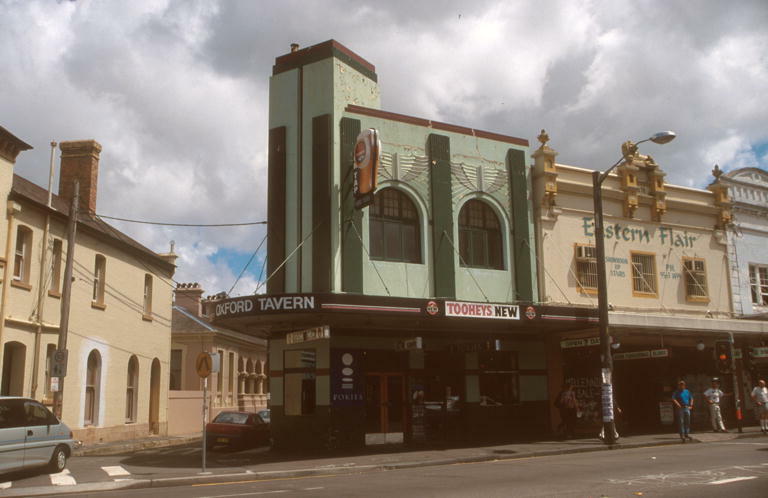 A McDonalds Restaurant opened in Newtown at 285 King Street Newtown in 1983. 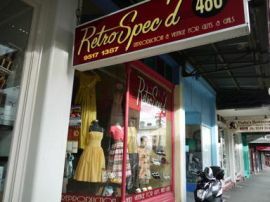 It was closed in 1998 due to the changing demographics of the Newtown area, particularly in King Street (Cummins, C & Geesche, J. ‘Fat-free Newtown gives McDonald’s the gherkin’ SMH, Sydney, NSW: 25 July 1998 p.1). The site at 285 King Street Newtown is now the Irish pub Kelly’s on King. 3. The Martin Luther King Mural, I have a dream, on King Street Newtown was designed and spray painted by Juilee Pryor, Andrew Aitken and other members of Unmitigated Audacity Productions in August 1991. For more information regarding the meaning of the mural see our Essays and section. The mural is one of many painted by Unmitigated Audacity Productions around this time. You can view images of Unmitigated Audacity Productions’ work in our Street Art section. A collection of photographs by Juilee Pryor, a member of Unmitigated Audacity Productions, have recently been added to the City of Sydney Photographic Database, ArchivePix. To view the Juilee Pryor collection conduct an ArchivePix keyword search using the word “Juilee”. 4. Alderman Lilian Fowler (formerly known as Elizabeth Lilian Maud Fowler) was the first woman Mayor in Australia. 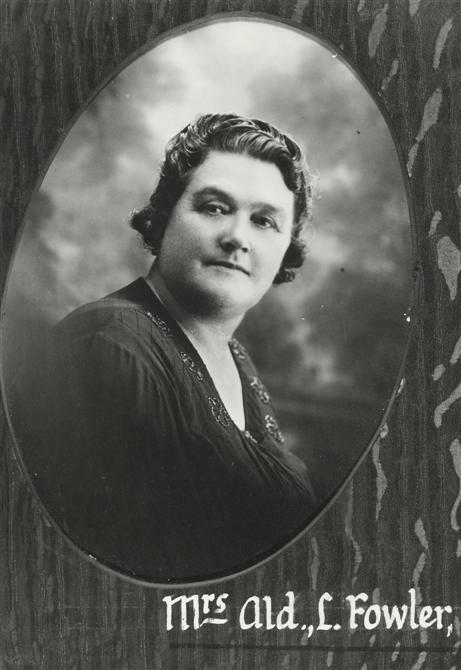 She was elected as an Alderman for Newtown Council in 1928 becoming the first female alderman in NSW and in 1938 was elected Mayor of Newtown. 5. 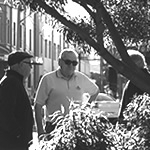 The band AC/DC met, formed and rehearsed in Newtown in the early 1970s. 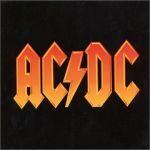 At this time the band members were Malcolm Young, Angus Young, Colin Burgess, Larry Van Kriedt and Dave Evans. The building was on the corner of Wilson & Erskineville Road Newtown (Information supplied to CoSA care of Dave Evans). 7. Henry Lawson lived in Newtown in the 1890s after marrying his Newtown fiancé Bertha Bredt. Whilst Bertha was courting Henry, she lived at 152 Probert Street Newtown (Gebick, Johnston & Wood, Go Explore Sydney: themed walks and adventures, Explore Australia Publishing, 2009). 10. Newtown Jets is Australia’s oldest Rugby League club. It was formed on 8 January 1908 (Newtown Jets Website, 2009). If you have any interesting facts about Newtown, we would love to hear them! 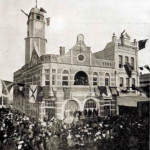 December 2012 – December 2013 was Newtown’s Sesquicentenary year. by proclamation in the NSW Government Gazette. 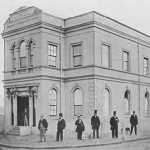 The first meeting of Newtown Municipal Council took place on February 16, 1863. A Proclamation Day event was held at Newtown Library on December 12, a selection of Archival images were screened at the Newtown Dendy on December 8 & 9, and an exhibition of archival images was held along King Street & Enmore Road, Newtown Shopfronts Gallery, to celebrate the start of the Newtown Sesquicentenary year. The City of Sydney still has “sesqui” merchandise available, including tea towels, badges & maps.